- Discuss, at a high level, how the ESS provisions interact with some of the other tax provisions. A recent study by the Department of Innovation found that compared with their non-ESS counterparts, companies which implemented employee share schemes had lower employee churn, higher sales, higher value added, higher labour productivity and higher value-added growth.1 Evidently, when set up correctly, an employee share scheme can be mutually beneficial to the employer and employee. Division 83A is the starting point for identifying the tax implications of employee share schemes. The general principle of this division (subject to various adjustments) is that the employee is taxed (at their individual marginal tax rates) on any discount to market value received on ESS interests. Depending on which provisions of Division 83A apply (i.e. taxed upfront, tax deferred or the startup concessions), the “taxing point” of the ESS interests is one key consideration employers and employees should be aware of. Although unintended, issuing ESS interests could impose a cash flow burden on employees as the tax liability could arise on issue of the interests, leaving the employee unable to fund the liability due to the generally illiquid nature of unlisted company shares. This is but one example highlighting the importance of finding the right balance between the commercial and tax attributes of the scheme. Over the years, employee share schemes have taken many forms. The table below summarises some of the more common types of employee share schemes and similar remuneration packages we have seen in practice, along with the key tax issues to consider. As previously stated, it is important to find the right balance between the ideal commercial parameters and tax attributes of the scheme. Commercially, there can be a natural tension or trade-off between “what’s best” for all parties. Finding the “sweet spot” can be difficult. However, if the right balance is found, the employee share scheme can be beneficial to all parties – the employees, the business and ultimately the business owners. - Lawyer prepares the legal documents (usually the Plan Rules, Offer Letter and accession to Shareholders Agreement) and advises on any Corporations Act disclosures and reporting obligations. The above roles are not fixed or done in a particular order. Rather, this is a fluid conversation between all parties. - Corporations Act reporting and disclosure obligations. 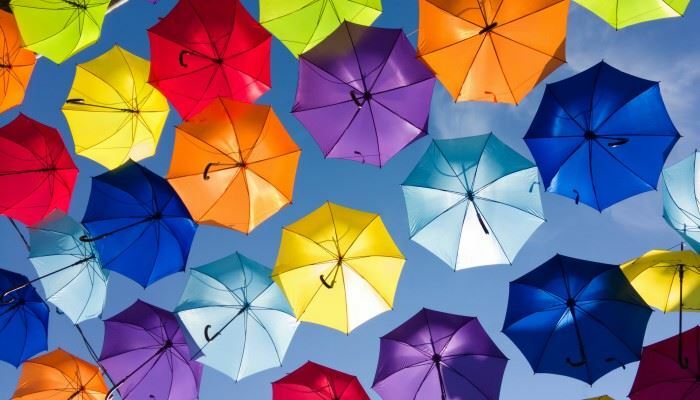 Employee share schemes require time and effort to plan and implement, and often tax attributes are a key determinant of the success or failure of the scheme. If set up correctly, an employee share scheme provides a compelling argument for a fast-growing company. Changes to Short –Term Rental Accommodations - Is the Holiday Over? The Department of Planning and Environment is currently in the process of reforming framework for Short-Term Rental Accommodation (STRA). The proposed changes were in response to the ever growing holiday rental market and the perceived inadequacy of regulations, which currently comprised of a voluntary code of conduct first adopted in 2012 and are mostly left in the hands of local governments. As a result, the planning regulations concerning STRA vary from councils to councils. With growth in the industry outpacing policy changes, owner’s corporations were forced to use strata laws to manage STRA impacts and locally derived planning controls. Due to the difficulty surrounding the permissibility of uses, concerns have been raised by local communities as a result of noise, parking and housing availability. 3. reforms to strata management powers to allow for prohibition of certain lots to be used for short-term rental accommodation. A notable feature of the proposed change is making all STRAs where the host is present a type of Exempt development, removing the need for development consent. For STRAs located within the greater Sydney regions without the host present, the proposal is to allow the dwelling to be used as STRA for up to 180 days without the need for development consent. The proposal also seeks to categorise STRA located on bush fire prone land Complying Development. The newly defined STRA, defines land use will be permitted in all zones where dwellings are permissible and to be permissible in secondary dwellings. It is proposed that some form of residential accommodation, such as boarding houses, seniors housing and group homes, will be excluded from STRA use to ensure they continue to meet their intended purpose. ‘Beyond compliance’ is a series of topics relating to conduct issues including bullying, discrimination and sexual harassment, and the ramifications of failing to address or inadequately addressing these. The session will include relevant case studies to give participants insight and understanding of the outcomes and consequences of these issues. This will range from legal liability for organisations, personal culpability for individuals, PR nightmares and cultural considerations. The experienced workplace law presenters will provide practical guidance to participants on what to do when an incident is uncovered or a complaint is received. This includes how to promptly and impartially manage an investigation process and effectively resolve complaints to minimise escalation to courts, tribunals and media outlets. The session will consider the benefits of values-based leadership and embracing diversity and inclusion to achieve transformational cultural change. This event is part of a national series. View other locations around Australia. - Access to overseas markets and employees (although the same can be achieved by merely establishing a subsidiary company in that country – see below). - If the company reaches profitability (before it is acquired, of course!) 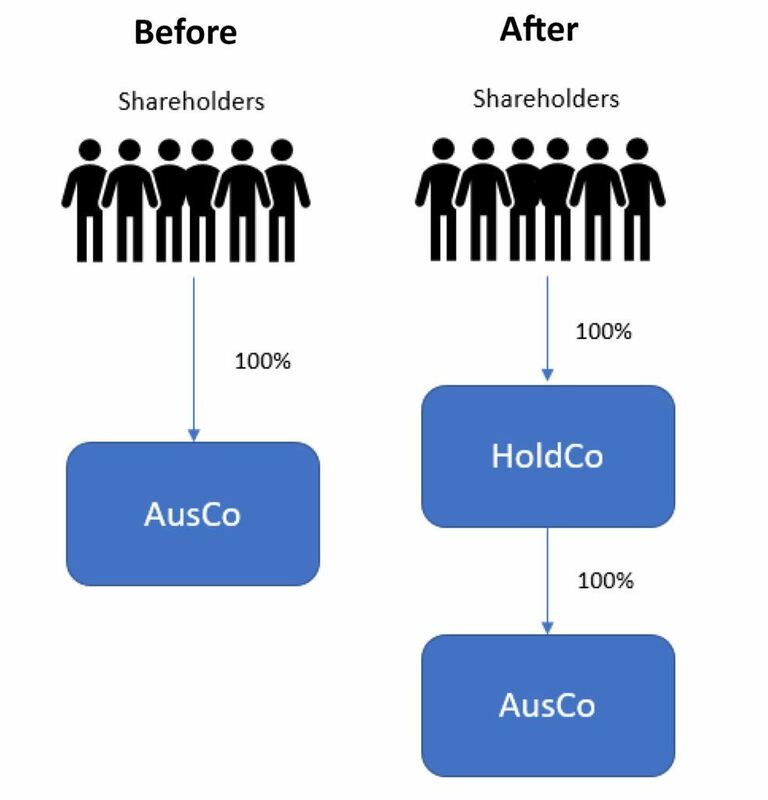 and wishes to pay a dividend, such dividends from the foreign HoldCo to its Australian shareholders will not have franking credits attached, which would ultimately increase the overall tax rate on profits from the business for Australian shareholders. - Protection of Australians who become Directors of the foreign company. In almost every scenario in business and in life getting it 95% right is brilliant. There are two situations, however, where 95% isn’t good enough. One of them makes sense. It’s those critical life moments where people in emergency services have to get it completely right because what they do genuinely determines a life or death outcome. The second situation doesn’t make sense. It is harsh and unfair …… but it happens. Leaders and managers are not judged on the 95% of the time when they get it right, they are judged on the 5% when, under pressure, they are LESS than their best. As leaders and managers we know we are not perfect. We know there are times when we say things that we later regret. We often wish we could ‘rewind the clock’ and say it better the second time around. Unfortunately, the person you spoke to and the others who heard you don’t judge you on your intention. They judge you on the impact you had, which will be strong and negative. We judge our leadership based on the 95% of time we perform well. Others judge your leadership on the 5% moments, on how you reacted or responded in the difficult, high pressure, high stake occasions. David Maxfield and Justin Hale (HBR, December 2018) researched the impact a leader’s style had on their team, specifically the leader’s style when under pressure. One in three leaders were seen by their direct reports as someone who can’t engage in a conversation when the stakes get high. And when leaders fail to have effective conversations under stress, their team members are more likely to shut down and stop participating. They are less likely to go above and beyond in their responsibilities and more likely to feel frustrated and angry. They are more likely to complain and even to leave. There will be times when you are under pressure, there will be times when you feel stressed or frustrated – that’s completely normal. What you need to focus on is how you behave when these situations arise. How you stay in control of your emotions and gain an outcome, not just have an outburst and then make excuses. Know yourself well enough to know when your emotions are taking over. Take a pause and ask yourself two critical questions ‘What’s the outcome I want in this situation?’ and ‘What’s the best way to get this outcome with this person?’. When you have answered these two questions, you are then ready to engage in the conversation. Be mindful that you need to consider not only your words but the way you say them, this means being aware of your tone and your body language. Knowing that you are judged on these few moments (unfair as this is!) I hope will challenge and inspire you to be your best self in the difficult moments. 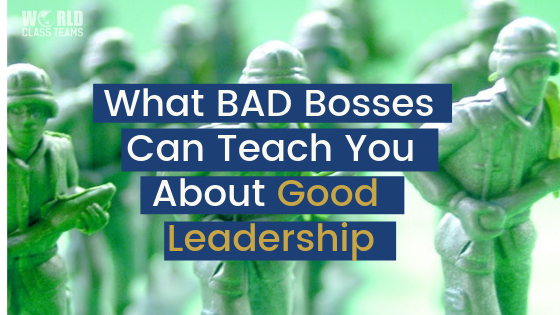 Conceptually this is easy, in practice it can be challenging, but the consequences of getting it right are undoubtedly worth it – you will shine as a leader. Equally the consequences of ignoring the significance of your behaviour in 5% moments are severe – your reputation with your team and the way they perform will both suffer. Plan your specific strategy to manage your emotions and therefore react appropriately in the 5% moments. Then put this plan into practice! You can fast-track being in control by joining our international GREENLINE program. In this one-day practical program, you will learn about the neuroscience that helps you to understand and manage emotions, allowing you to have the conversations needed to get people and difficult situations back on track. For WSBC members there is the special option to participate in the fully funded, nationally accredited GREENLINE program. Check out the program on our website or call Ramsina McCully on 1300 085 248. 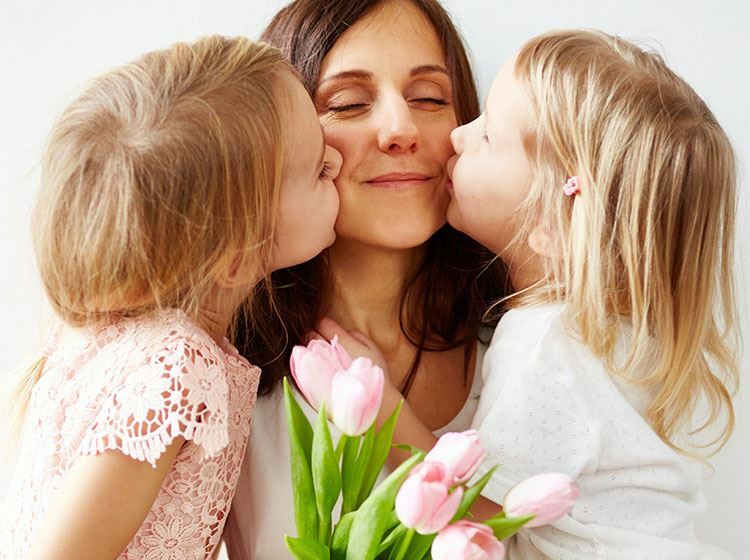 Spoil Mum this Mother's Day at TABLE 30 Restaurant with a delicious breakfast buffet filled with a range of hot and cold dishes, and made-to-order omelettes. Or treat her to a seafood buffet lunch and she'll enjoy a complimentary glass of French sparkling wine on arrival. For reservations and enquiries, please speak with a member of the Parkroyal Parramatta team on 02 9685 0377 or email dining.prsyp@parkroyalhotels.com. Complimentary glass of French sparkling wine only valid for Buffet Lunch. A merchant service fee of 1.1% for Visa, MasterCard and 3% for Diners, Amex and JCB will be applied to all credit card transactions. How secure is your business online? Every 39 seconds, a hack occurs – and SMEs are increasingly vulnerable. Macquarie’s recent Breakfast Briefing shared some important tips on building resilience to fraud. As businesses adopt and depend on increasingly advanced digital technology, the risks of doing business evolve. And while larger organisations have strengthened their cybersecurity systems and protocols, smaller firms become more vulnerable – because cyber-criminals know their weak spots make them easier targets. Macquarie has been providing Business Banking solutions for over 30 years and provides SME clients with tools and strategies to grow and develop their business. You can get regular updates by subscribing to the monthly newsletter, Strictly Business by visiting macquarie.com.au/businessbanking. If you would like to find out more about how Macquarie can support you to take your business further, call Sam McCarthy at our Parramatta office on 0417 518 724 and be connected with one of our banking specialists. This information has been prepared by Macquarie Bank Limited ABN 46 008 583 542 AFSL and Australian Credit Licence 237502 (“Macquarie”) for general information purposes only. This information does not constitute advice. Opinions expressed are subject to change without notice. No member of Macquarie accepts any liability whatsoever for any direct, indirect, consequential or other loss arising from any use of this information. Site investigations for the Parramatta Light Rail project will start on T6 Carlingford Line heavy rail corridor between Camellia and Carlingford from Monday 8 April 2019. How works will affect you. You can read the community notification by clicking here. Missed Our Sold Out Breakfast Masterclass? They say the numbers don't lie, so if the volume of bookings for our latest Breakfast Masterclass are a reflection of their value, we’re thrilled to be delivering such invaluable content to our members. Our Breakfast Masterclass Series focuses on delivering professional development opportunities for WSBC members in the areas of leadership and digital marketing and it is presented by two of our Platinum Partners: Brilliant Digital and World Class Teams. Our first Breakfast Masterclass of 2019 - Creating A Digital Brand Strategy for Business Growth - presented by Deb Croucher was sold out, even after we opened up a second release of tickets. So if you missed out, here’s a short video summary of Deb’s presentation. “The reality of 2019? We don’t GO online…We live online. Your market is looking at you online...this is the biggest business change since the industrial revolution. Digital marketing is now the mainstream and eclipses all other forms…but unless you have a solid strategy it’s easy to waste time and cash and get no measured return on investment. You can no longer rely on the media giants to make the phone ring. You need to step up and own your brand message and storytelling. And you’ve also got to take ownership of your own platforms, especially your website. If we don't attract young blood through and up into our businesses then obviously our business is going to disappear! So grabbing that young market and bringing them through is crucial. We need to know what to say to get this younger generation to stop to look and to engage with our brand,” says Deb. Brilliant Digital has helped transform business of many different sizes by helping them to develop their digital brand strategy for business growth. But according to Deb, regardless of the size of the business, the formula for success remains the same. The takeout message from the Masterclass? “The playing fields are levelling out. Small businesses have a huge opportunity here to step and own their own brand message and storytelling. Our second Breakfast Masterclass for 2019, Boosting Your Emotional Intelligence For Workplace Success, has also sold out, but you can join the waitlist here. Presented by World Class Teams’ CEO, Diana Tapp, this second Breakfast Masterclass is for business owners and leaders who want to discover practical tools & tips they can implement today to rapidly improve their Emotional Intelligence. To find out more about our Breakfast Masterclass Series or other WSBC events, you can subscribe to keep up to date or simply contact us. For the third year NSW Council of Social Service (NCOSS) will host the Investing for Good Conference (I4G), in partnership with the NSW Office of Social Impact Investment (OSII), on Thursday, 9th May 2019 at Pier One, Sydney. NSW is leading the way with social impact investment and we are excited to bring government, not-for-profit organisations, the private sector, business and investors together to further cultivate the ecosystem needed for social investment to reach its full potential. I4G 2019 will enhance the capacity, nurture the ecosystem and celebrate the successes of the NSW not for profit, public and private sectors in developing mutually beneficial relationships that create long lasting, positive social impacts. Join us as a corporate attendee and develop the necessary partnerships in order for you to engage in social impact investment and contribute to creating strong and thriving communities in NSW. Special Offer to WSBC Members: Register now and receive a 20% discount using the code WSBCDiscount. This offer is valid until 12th April 2019. NCOSS also invites you to review the Sponsorship Prospectus for the upcoming I4G Conference 2019. This is an exciting event that will contribute to new ways of tackling complex social problems that deliver results and a return on investment. Sponsorship opportunities are limited!